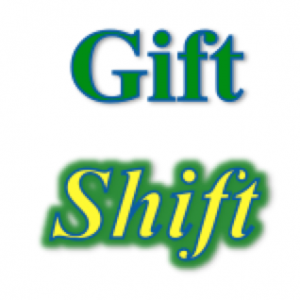 I am deeply involved in experiments in gift economy, both my own and those I hear about and engage with from the sidelines. The entire thrust of my work with organizations is about supporting a massive shift from adversarial relationships and systems to a collaborative overhaul of all our human affairs. I have just published a book in which I describe my vision of a possible future that is fully collaborative and based on gifting and a revival of the commons. Given the unmitigated joy I experience at the prospect of giving away my work and being supported by the flow of generosity of those who believe in what I do rather than by people paying for services, I am continually and immensely curious to understand the obstacles to having this experience be the norm rather than the exception. In this post, I am writing about one piece of this huge puzzle that fell into place for me: why the idea of “deserving” might have come into existence, and how it’s related to the difficulties in establishing gifting and collaboration. Recently, Alastair McIntosh sent me a gift copy of his book Soil and Soul, in response to a review of mine that was published in Tikkun about David Bollier’s book Think like a Commoner. Gifts and shared resources were in the air as I started reading the book and was instantly transported into the semi-pre-modern milieu that was Alastair’s upbringing in Scotland, on an island fifty miles off its coast. I have most of the book still ahead of me to enjoy, and already it supported me in pushing my thinking forward. I’ve had a mild allergy to the idea of “abundance” that is very widespread in certain spiritual circles, and have been on a relatively quixotic campaign to speak of “sufficiency” instead as what I aim for – enough to satisfy needs for all life. Then I had a breakthrough recently, in which I realized that what I was concerned about was what I would now call artificial abundance – the surplus created through human effort. I now see that surplus production, starting with agriculture, is entirely distinct from the natural abundance that is, indeed, one of the fundamental laws of nature. This kind of abundance is the result of the precise attunement of systems and feedback loops operating in nature that ensure that that there is no waste anywhere and everything is utilized in support of life. I am not a student of ecology or evolutionary biology, so this statement is clearly impressionistic and not scientific. Still, any time I pause to consider the intricacies involved in creating, balancing, sustaining, and ending life I can only find one experience: awe. Based on my own reading and thinking, I have found enough to convince me that humans were initially embedded within this natural abundance. (And probably unconsciously, since their entry to new parts of the world coincided with major extinctions in the Americas and Australasia, most likely resulting from local animals’ lack of time to evolve defenses against this sudden new predator. I imagine indigenous people’s more conscious philosophies of living in harmony with other species may have been created in part from thinking about these disasters. As always, we cannot truly know such things. If you are utterly fascinated by these questions, like me, I highly, highly recommend the book Sapiens: A Brief History of Humanity, by Yuval Harari.) Socially, this meant sharing the management and distribution of natural resources. I have written before of the idea that it was abundance that created scarcity and separation (see Money and the Web of Love for more details). As Harari says in his book, the shift to agriculture was a positive move for the species, in the limited sense that it vastly increased the human population, while being disastrous for most individuals. There are a number of reasons for this reduction of well-being to individuals in which most people were worse fed, toiled longer hours, had smaller stature, more disease, and shorter lives, than their hunter-gatherer forebears. Agriculture itself was responsible for some of this, but a great deal of it happened because grains need to be stored. 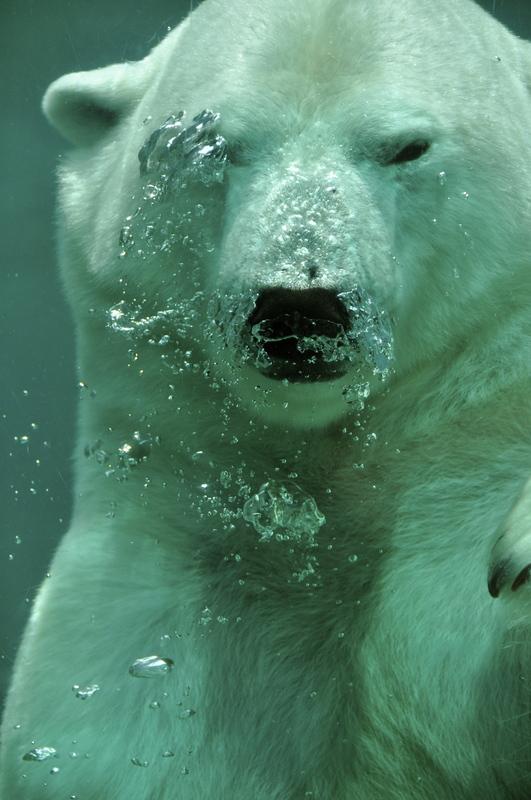 In the process they lost their capacity to move freely in search of food. As Harari so dramatically suggests, the door from hunting-gathering to agriculture was slammed shut behind humans once the shift happened. Being in one place, in larger numbers, and dependent on stored food made humans more vulnerable – to disease, to raids, and also to control and taxation. Their production flowed upwards towards few individuals who managed to command power and amass resources way beyond their needs while also creating scarcity of resources for the majority of people. Throughout our history, to this day, we have created more and more resources, and we have continued to funnel most of them to only some individuals. Reading Soil and Soul has given me a very vivid way of seeing what it means to allocate resources based on needs and gifting. For one example, even into the 1960s island inhabitants didn’t have refrigerators, which meant they couldn’t hoard fish even if they had been tempted to. Instead, any abundance of fishing, regardless of who had it, resulted in the bounty being shared. Webs of mutual support sustained these fragile communities until modernity finally hit in the 1970s and brought an abrupt ending to the old ways with the disappearance of the fisheries almost overnight due to “efficient” methods of fishing. So far, this book has only deepened my conviction that collaboration, sharing of resources, and the intention to care for everyone’s needs in the community are our ancestral past and our evolutionary expectation. If that is the case, then once needs lose their “bargaining power”, some powerful story would have to be created about why some people receive so much more than they need while others go hungry. I have been thinking about the deeply rooted notion of deserving for many years now, since I first learned that it was one of the four pillars of what Marshall Rosenberg called “life-alienating” thinking, along with diagnosis, demands, and denial of responsibility. Some time ago I wrote a piece called Does Anyone Deserve Anything? Which was about its use in the context of reward and punishment. Even though I was fully aware of how difficult this notion is to transcend, and how fundamental it is to the operation of existing human societies, I hadn’t until very recently stopped to think of its origin and function in the larger order of things. Simply put: inequality can be justified if everyone accepts the belief that some people receive way more than they need because they deserve it, and those who receive less than is enough for them receive so little because they don’t deserve to receive more. The specific flavor can vary: clearly the idea of being chosen by the gods is different from the idea of earning resources through hard labor and talent. Because we live in times when the notion of merit-based allocation of resources is prevalent, the latter version makes far more sense to us than the former. I still believe that the difference between these two flavors is far smaller than the difference between collaborative, needs-based allocation and our historical and current systems that blend structural power and market logic in allocating resources. I now believe that our ancestors accepted the story that explains vast resource disparities by coming up with a justification for why some get so much more because it helped make sense of the world, and because the alternative was just too painful: to continue to hold on to their needs and their struggles in the face of massive and overpowering opposition by those in power. Many years ago I already understood that we cling to privilege because it’s been given to us as a substitute for a real need. In an earlier piece, called Privilege and Needs, I contrasted specific pairs of needs and their substitutes: convenience as a substitute for joy; success as a substitute for meaning; money as a substitute for freedom; and several others. With this new understanding about the notion of deserving, I have even more understanding and compassion for the intensity with which all of us hold on to our privilege and find it so difficult to see it and to be open to critique from others about it. What I see now is that with the shift into inequality we lost the overall sense that our needs, per se, matter. A need that is not backed by the power of resources carries no weight. Being hungry does not provide access to food, nor does sickness allow people to have necessary health care. As more and more of our necessities have become commodified, we only have access to the materials, goods, and services that we need if we can either produce them ourselves or have the money to buy them. The subsistence economy and the commons paradigm, which are still based on sharing resources within communities based on needs and generosity, are continually being undermined and replaced with a cash and finance economy. Each step of the way, our needs carry less weight. What this means is that if any of us are stripped of any privilege that we happen to have, we would be exposed to the harsh reality of having needs we cannot meet, no matter how vital they are. At the same time, we are all aware that others, an unbelievable number of them, are living in that reality that we are so intent on being protected from. Believing that we deserve the privilege we have – because we have worked hard, because we do good work, because we have the education, because we inherited the money from somewhere, because we are shouldering a lot of responsibility, or simply because we had good luck – is exceedingly important for maintaining a sense of meaning and integrity within ourselves. Here are a few examples that haunt me. Someone I knew had two sisters and three brothers. One day she learned of the existence of a trust within the family that provided an inheritance to all the living males whenever someone died. She and her sisters confronted their brothers when one of their uncles died. The brothers responded that they didn’t set up the rules, without ever acknowledging that it was entirely within their power to decide to divide what they had received with their sisters. A small company I am aware of, and I am positive is not unique, has a strong and explicit commitment to sustainability. They produce unique products that are innovative and put relatively little stress on the environment. They put enormous effort into sourcing their raw ingredients and are proud of their success. Their production workers, however, who are often illegal immigrants, receive minimum wages and work in extreme weather conditions and under constant stress of accelerated production. While I have no way of knowing what the owners believe, I could see the logic of justifying it by seeing their own profits as separate from the equation, and focusing entirely on their ability to sell their products at a low enough rate to sustain the growth of the company. Recently, a number of billionaires have committed to giving away up to 50% of their wealth to causes of their choosing. While I applaud the initiative, I am left with questions. It clearly appears to them and to everyone else that this is an act of immense generosity, while for me I wonder why 50% and not everything beyond what they truly need. That my question seems naïve or idealistic is exactly the point: we have accepted it as normal and part of life that some people will be billionaires while billions live on less than $2 per day. Stories that legitimize inequality become progressively harder to sustain the more inequality there is. This is especially so when the dominant story contains within it the promise of equality, as it has since the 18th century. The struggles for liberation that have been sweeping the world since then, and more and more so in the last century, have been systematically challenging some of the specific justifications. One after the other, notions of superiority are called into question. At least in the industrialized world, national, ethnic, racial, and gender-based claims to social power in relation to other groups are no longer seen as legitimate (although they certainly do continue), and others are in process, most notably sexual orientation and the very definition of gender. Others, such as the claim to power of adults in relation to children are still mostly unquestioned, often using similar language and arguments that were previously used in now discredited areas (e.g. that children are too close to nature, undeveloped, or emotional to be able to think for themselves). One of the areas that remains largely accepted is vast discrimination in the economic field. It is still widely believed that people rise to power and economic “success” because of some unique talent or ability, and one should accept that they will then earn inordinately more than others; that it makes sense for doctors to make more money than housekeepers; and that those who produce more and work harder deserve to earn more. There is hardly any move towards allocation of resources based on needs except in the extremes of poverty, and even then the charge is leveled that poor people don’t deserve to be supported to get their needs met. As an example, when Oregonians attempted to pass a so-called single-payer health care program, they were, in part, criticized for creating a rationing of health care. This was because, as I understand it, some provisions in the bills considered people’s needs in thinking through how to allocate expensive technologies. The bill, at that time, fell through, and the reality of rationing health care based on money continues. In other words, so long as money is the mediator of allocation, it appears to people to be “fair” even though needs routinely go unmet in such a system. Still, there is only so much tolerance for inequality; so much that the story of deserving and earning can make palatable. Our current level of inequality in the world is no longer seen as “fair” by the vast majority of people, and there are growing pressures to create change. Losing legitimacy, in and of itself, does not change the actual circumstances of people. It does, however, make being in a position of privilege even more uncomfortable: how can anyone justify their position of privilege when the cultural ethos no longer provides an easy narrative of superiority? Given that all of us possess a strong need to maintain a sense of our fundamental decency and integrity as human beings, I can see how, perhaps paradoxically, access to privilege can easily lead to more defensiveness and less openness to critique, feedback, and self-examination now that it’s less legitimate. I am aware of at least some people in positions of immense wealth who feel uneasy about the extreme disparity they know of even while being trapped in holding on to it. In a world deprived of strong bonds of connection and community, finding a way to relinquish extreme power and privilege is an exquisitely challenging path. I am not surprised that only a few have walked it so far. I am, once again, at the frontier of my own thinking, having no answers yet to offer. I am celebrating that having no fully-formed answers no longer stops me from asking questions and visioning. Knowing that I, like everyone else, can only grow and develop in the company of others and interdependently with them, I am reaching for more learning by inviting companionship in the inquiry. I am far from immune to the distortions of being in a position of privilege, however small mine is. I am continually learning through engaging non-systematically with others. This includes those who share my forms of privilege, with whom I investigate what we might be able to do with our resources in support of significant transformation of actual social relations, not just our internal landscape. I also sometimes engage with people who have access to far more privilege, most notably wealthy white men of Christian origin who were born in the US. With them, I am mostly in a process of learning: is there a way for me to engage in fully authentic conversations, where the disparity between us gets looked at, both in terms of access to resources and in terms of our views and ideas about our privilege? Lastly, I am lucky to have friends who have far less access to privilege than I do, from whom I learn about my own areas of blindness, and with whom I learn how to have useful conversations about privilege. After years of slow progress, I now feel ready to experiment publicly and openly. My newest gift offering to the world is a series of calls I am scheduling for the purpose of having conversations about privilege (with the first one being this Sat, March 7, at noon Pacific time). Offering it as a gift means there is no method for you to give money in order to participate. You do, however, have the option of supporting the gift experiment as a whole through joining the Circle of Support. What will happen on these calls? I don’t know. It is an open inquiry that I am committing to supporting with my skills as a facilitator and my own willingness to humble myself and learn from everyone. I cannot promise that it will be comfortable, nor do I want to. I still hope that many of you will join me, despite the clear possibility of discomfort, because the willingness to be uncomfortable seems essential to me if we want to reclaim the fullness of our humanity from the separate social locations into which we have been assigned. COMMENTS: If you leave a comment, please email Dave Belden at the same time so he can approve it. We apologize that we have usually not been able to moderate comments and many have fallen into a bottomless well of nothing, due to the 100,000+ spams we have built up and our lack of staff time and tech savvy to solve the problem. But this new method is working! To discuss this and other posts with Miki and fellow readers of this blog, check in to the free Fearless Heart Teleseminars. The next ones are on Sunday March 8 10:30am-noon, Sunday April 5 10am-11:30am (this is the only date in April, please note that it is also 30 minutes earlier). 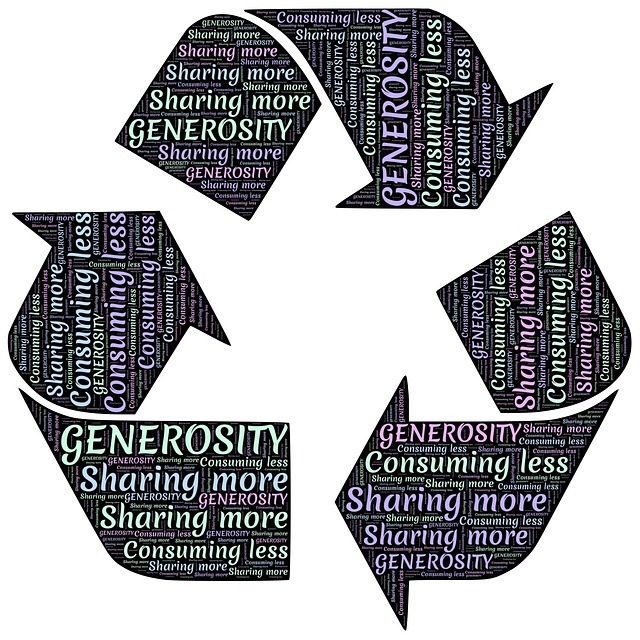 Images: Generosity graphic by johnhain at Pixabay.com, under a CC0 Public Domain license. 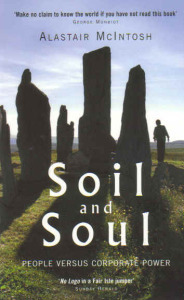 Soil and Soul cover from the book’s website. This entry was posted in Uncategorized and tagged Uncategorized on March 6 / 2015 by Miki Kashtan. As I read this I am wondering about this idea of “holding on” to privilege or “being stripped..” or somehow being able to choose to not have privilege. I get that if someone has a lot of money they can choose to live simply and give the rest away, but even the ability to choose to give away a half a billion dollars or even a hundred dollars is a privilege. The way I see it, I was endowed with many privileges at birth and in childhood–U.S. citizenship, relatively good health, access to food and education…I am in Guatemala with people who are half my height because they did not eat enough as children, and they have missed their opportunities for optimal development and education and they are trapped in a country where resources cannot be accessed easily. I can share my money but I cannot share my education, good health, stature, citizenship, and family background. The only thing I see that I can do is to use the privilege that I have to give the most I can give to support the people in the highest vision that they have for themselves. It’s an art. It’s not as simple as giving up privilege. There is nothing simple about it. It takes a certain ingenuity. When you talk about giving up privilege, or something that sounds like that, it probably sounds not only really scary and unappealing, but also sort of impossible. Giving up the idea of privilege being equal to deserving does seem like a good place to start to challenge the system. Understanding that I have my needs mostly met out of luck more than anything is an honest place to begin to unravel the human mess we are in. People here remind me frequently that my money stretches here and their money is worthless in the U.S. and that I can visit their country and go back home but they cannot easily visit mine. Of course I am painfully aware all the time. One thing I know I can do is to not distance myself from people with less privilege but to include them among the people that I care about and hold them as equal in value even if their circumstances are far more constrained than mine. Even if they don’t speak my language and are different from me in uncountable ways. The distancing and intellectualizing about the world’s poor is a subtle form of violence in itself as it creates an “other” solely by circumstances. I want to reach to see all the ways in which we are in this mess together, albeit on different sides of the mess. Enough said for now. Thank you for the thoughtful post. This is my general approach to privilege, exactly like yours. Except that when it comes to money privilege, and the incomprehensible disparities, I wanted to poke at it a bit deeper. Not because I believe that the solution is giving up privilege. More because I believe that the fear of losing the privilege is so intensely in the way of transformation. Hope this makes sense, and I look forward, as always, to more of your comments. I am so pleased that, so far, “Soil and Soul” is speaking to you. A friend of mine, Maxwell Macleod (about whom there is a chapter later in the book) wrote to me the other day about an old man on the Isle of Mull, Attie Mackechnie, who we both knew, but he had had the privilege of knowing since childhood. Maxwell recounts the same experience as I describe and upon which you have picked up, namely, a community of reciprocity and mutuality in the sharing of common natural resources (even barter was too modern an innovation for us). He was reflecting in his email how island people did not say “thank you” for things, like when you’d drop fish off at their houses. It would just be accepted and that would be that. I remember that well, and in school people being taught the “thank you” ethos as “the way you’re meant to do it” – like the expectation, in the modern world, of always smiling at the camera (and thereby, very easily, introducing a veneer of inauthenticity, which is to say, to begin colluding, albeit in a tiny way, with the living the lie). You see, that’s the depth of real community, an indigenous transpersonal community that has been forged in the crucible of place where people have lived together for generations. Our challenge today – when so many have no sense of place, and shift around, with Facebook friends who can be liked or unliked at the click of a mouse – our challenge today in this world of horizontal surfaces, is to re-grow vertical community – community that reaches to the spiritual core. Can I just say, Miki, that I’m probably not going to be able to follow through on this. I am already overstretched, and part of our challenge in making real community is not to open up too many fronts at once. Much of community is sucking on what you’ve got rather than pick and mix. However, my dear wife, Verene Nicolas, is well known to you, and a contributor on your site. She has your new book, and when I can prise it off her I’ll enjoy taking a look. Although her and my life experiences meld from very different places resulting in different needs, and also, perhaps deeper than needs, deeper apocalypses (or revelations/realisations of intrinsic Being), we share a similar sense of the urgency of learning to be community in these fragmented and fragmenting times. Thank you, and bless you, in your holy work.